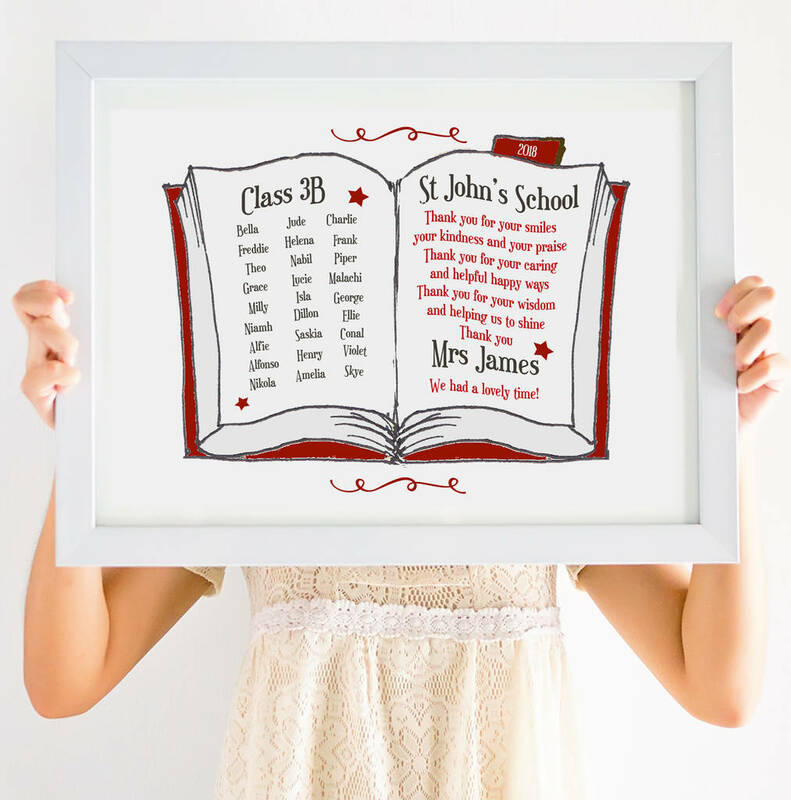 What better way to thank a teacher, tutor or leader than with a gift from the entire class! The print features an illustration of an old book with the names of every child written down the left hand side, like a register. The print can be personalised with the teacher's name and the class they taught, name of the school and the year. Written on the right hand side is an original poem by Heidi at Giddy Kipper to say thank you to the teacher for all their praise and encouragement. 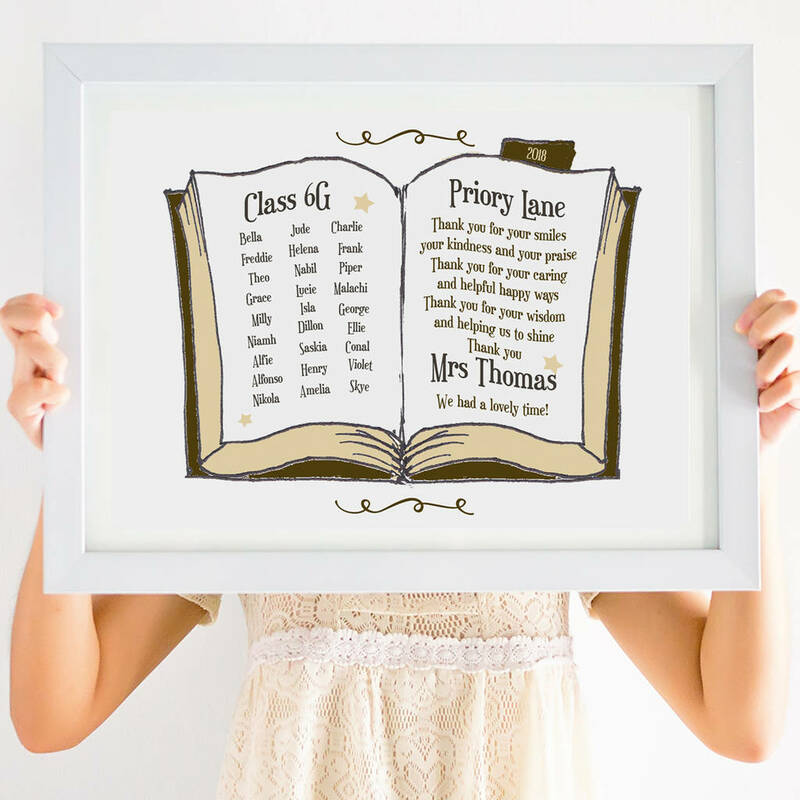 A lovely group gift for the end of term or a leaving gift for a teacher. A keepsake for years to come to remember the class. Club together with other parents or friends to buy as a joint gift.